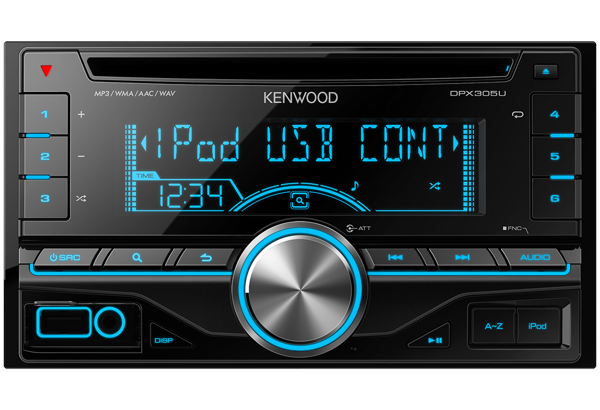 Kenwood’s DPX305U makes full use of cars which have double-DIN size spaces. 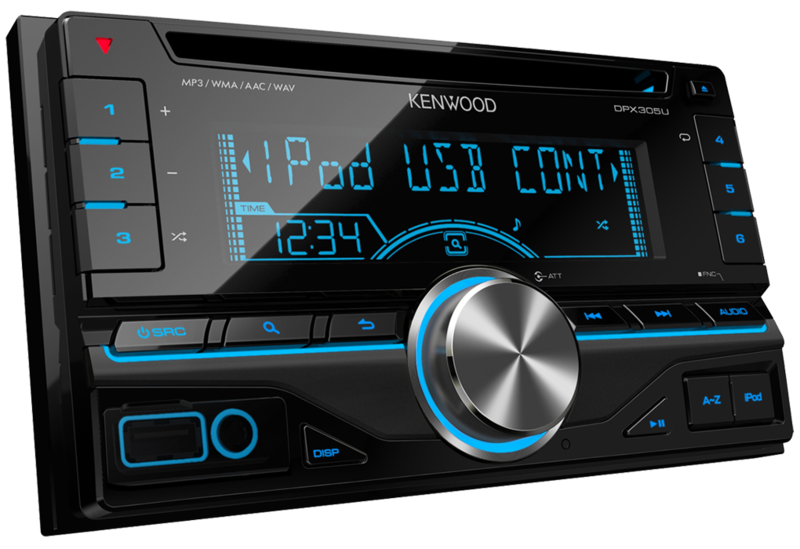 The ideal choice for upgrading factory fitted basic CD players. This unit has full compatibility with iPod/iPhones, USB devices and MP3/WMA/AAC files. 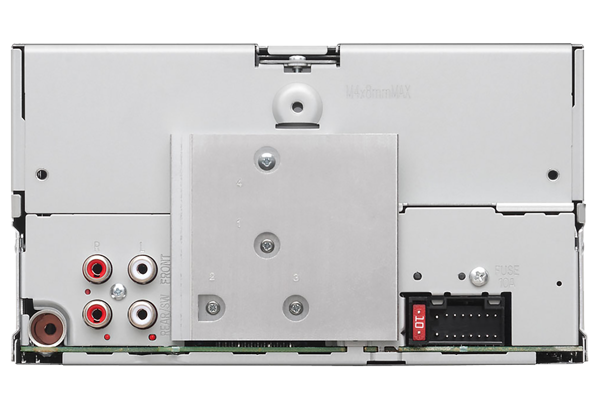 A powerful 50w x 4 built-in amplifier will transform your cars entertainment sound. A front AUX input is available for quick connection to portable music players. 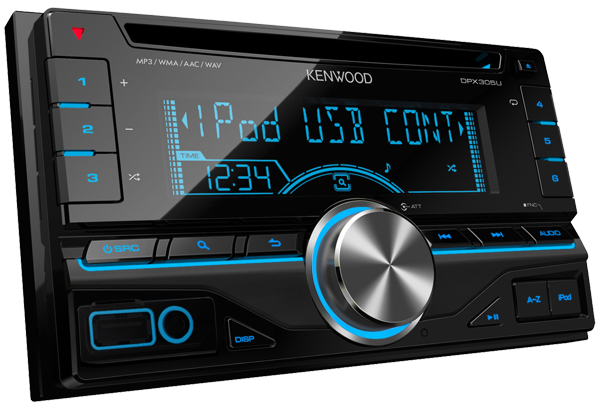 CD-Receiver with Front USB & AUX Input.